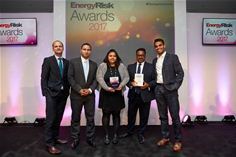 At a gala event in London last night, before a packed house of oil, gas and power industry professionals, Energy Risk named Aspect the CTRM Software House of The Year for 2017. This global award was also presented for the Americas in Houston in May. Aspect also received a second award as it was recognized as the number one Cloud CTRM and ETRM solution globally through the Annual Energy Risk Rankings Report. Aspect clients include a wide range of companies in every region of the world, including Trafigura, Glencore, Aegean, Unipec, Oando, Gulf Petrochem, Oil Brokerage and hundreds more. Visit the energy risk website for more here http://www.risk.net/awards/5210856/etrmctrm-software-house-of-the-year-aspect. Aspect’s rise to the top of the industry started 17 years ago as the only web-based software company selling trade and risk management tools for energy companies. 17 years later, Aspect is not only the top cloud company, but the top ETRM and CTRM solution provider in the business, including software and cloud companies, with clients of all sizes in the oil, metals, biofuels, coal, LPG and petrochemical sectors. Aspect gained traction in the early years focusing on small to mid-size companies where traditional software vendors could not scale down their large, high-cost, long-term consultancy projects that are required for software deployments. Aspect’s Software-as-a-Service (SaaS) subscription model worked for the mid-market, and helped many trading firms replace spreadsheets with AspectCTRM. It gave companies of all sizes a professional trade, risk, and operations suite to run trading operations. As cloud solutions took hold in all industries, Aspect’s business took off – growing faster than other providers, and adding some of the largest trading houses in the world to its client list. In previous years, Aspect has won the same award for Asia and many other prestigious awards, but this is the first time bringing home the Energy Risk award for Americas and Europe. The annual Energy Risk Software Rankings Report announced its findings from its annual survey of top energy and commodity trading and risk management software and data management vendors, naming Aspect number one for cloud-based ETRM and CTRM software solutions globally. Aspect was also ranked second for ease of implementation, and among the top five for oil trading systems. Aspect is a leading global provider of multi-commodity trade, risk and operations management applications delivered Software-as-a-Service (SaaS) in the cloud. With almost 500 customers in 90 countries, it’s one of the fastest growing providers with rapid deployment, affordable subscription fees, and immediate ROI for all size companies. AspectCTRM is its flagship product featuring a functionally rich, modular front, middle and back office suite available in Lite, Standard and Enterprise Editions. Aspect is the only ETRM/CTRM solutions provider with pre-trade market data and analytics tools delivered with its trade and risk functions on the same platform. Aspect’s solutions are available on desktop, tablets and mobile devices.